ProtonMail the secure email service has been banned in Turkey. In the past few days, Turkish users using the Turkish Vodafone network reported that the email service was no longer accessible. The ProtonMail ban was then confirmed in a Twitter post by ProtonMail themselves. In a blog posting ProtonMail explains that the block in place is at DNS level and is affecting users of other ISPs in Turkey both on mobile and home connections. 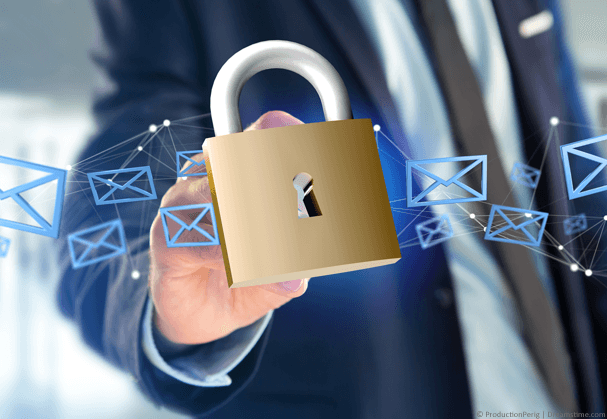 Reports suggest that ProtonMail has been caught up in a round of blocks against a host of services which came into effect on March 12th. ProtonMail isn’t the first service to be blocked in Turkey and joins a large list of services that are not inaccessible. Previously Tor and a host of popular mainstream VPN services such as NordVPN, ExpressVPN and others have faced blocks in the country. As ProtonMail offers free, secure and encrypted email it is an obvious target for the Turkish regime who is hellbent on limiting freedom of speech online. In the past they have blocked access to services like Twitter and YouTube in an effort to stop the free flow of information across the country. After China, Turkey is quickly becoming one of the most restrictive countries for internet use. But what can you do about it? Accessing ProtonMail in Turkey is much the same as accessing any other blocked service in the country. The most effective way to access ProtonMail is to use a VPN, but it’s important to choose the right VPN. A VPN is a service that scrambles all of your data and information using what is known as encryption. It then passes this data to a third party location (known as the VPN server) where it then removes the encryption and passes it onto the wider internet. The bit where the data travels between yourself and the third party location is unreadable and as long as you use a VPN server outside of Turkey it’ll allow you to bypass any blocking restrictions. The trouble is, Turkish authorities have also started blocking some VPN services. This is mostly the largest and most popular. Basically any big name VPN provider is either partially or fully blocked from access in Turkey. In fact, even ProtonMail’s VPN service ProtonVPN is reportedly blocked too. So to bypass Turkish internet restrictions and access ProtonMail and other services you’ll need to use a lesser know VPN service. Lesser known does not mean lesser quality either. Only that it is smaller and so able to fly under the radar of Turkish authorities. For this we recommend VPN.ac. They’re one of the top VPN providers to date but because they’re less well known they’re currently working in Turkey. VPN.ac can be accessed by clicking this link. Sign up for their service and then you can download the correct app or software for your device. VPN.ac support all major devices so you’ll be able to use them on your Android or iOS mobile or even your regular laptop or desktop if it’s running Windows or Mac OS. Connect to a location outside Turkey. Using Romania or Italy is best because they’re the closest to Turkey and will offer the best speeds. Once connected you can visit the ProtonMail service without any issues. You’re also able to use other blocked services. The service offers a range of VPN protocols and Ports available in the Advanced area of the app which are worth playing around with if you have issues or want a more stable or faster connection.